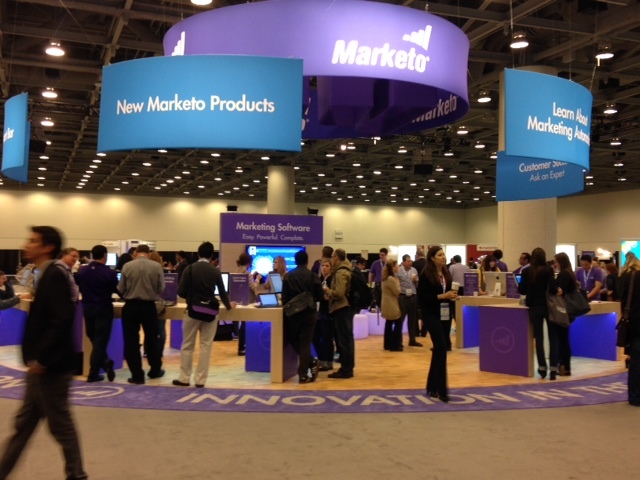 This year’s Marketo Marketing Nation Summit was a complete whirlwind. 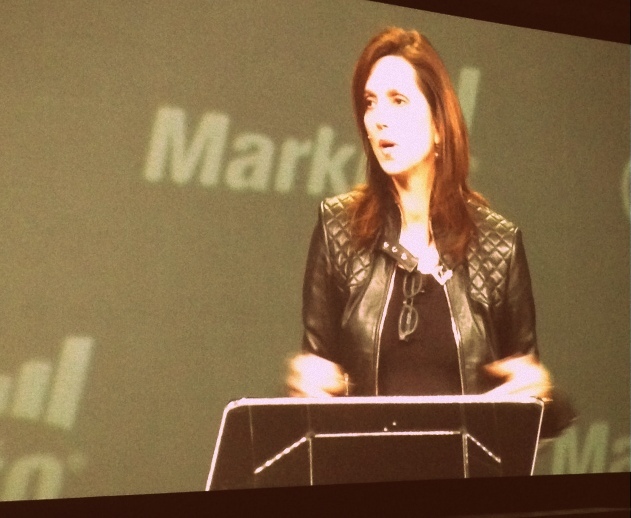 We hosted for the first time at the Moscone Center, with keynotes from former Secretary of State, Hillary Clinton, CMO of GE, Beth Comstock, and our own fearless leader Phil Fernandez. And then to celebrate we hosted a killer party at San Francisco’s super cool Exploratorium, a never-ending maze of tactile exhibits, finger foods, and cocktails. Our expo hall has been certainly been a center of innovation this year with our partners sharing their latest and greatest tools to make the marketing life an easier one. We featured demos of our newest product advancements and even had some of our Customer Champions on hand to answer questions. Let’s recap some of our favorite sessions from Wednesday, our final day of Summit. And if you missed our day two recap, check out Live from Marketo’s Marketing Nation Summit: Chair Potatoes, Empathy Hacks, and Innovation in the Nation. After a fun filled evening at the Exploratorium, everyone rallies to see final keynote featuring Marketo’s CEO Phil Fernandez, and GE’s CMO, Beth Comstock. 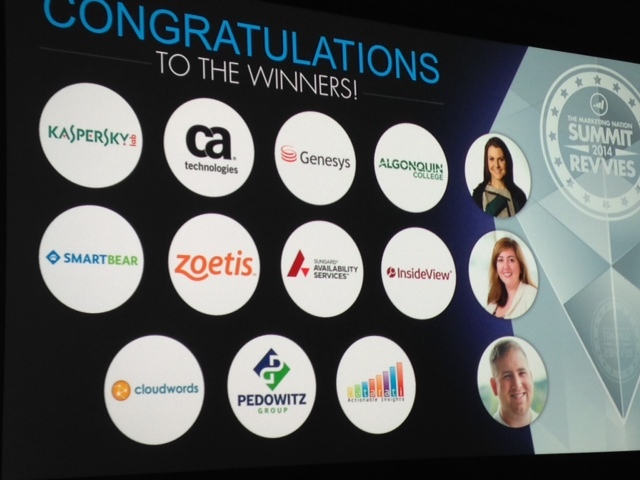 A huge congrats to all of our Revvie winners this year! For a full list, check out our Press Release. 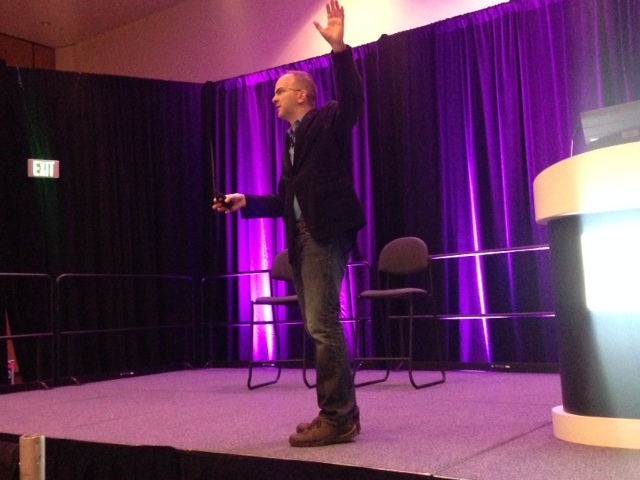 Phil then introduces the featured keynote speaker, Beth Comstock, who discusses innovation and change in marketing. Beth is passionate about change and innovation and leads GEs growth efforts. 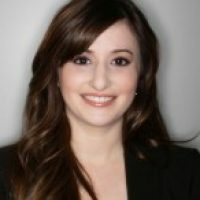 She believes CMOs are change agents and innovators in the modern enterprise, which of course is a marketing first world. Marketers should focus on practical innovation—this is the notion of looking at what the world actually needs and inventing for that need. An idea doesn’t count unless you do something with it. As marketers, you need to constantly change and understand where the world is going. Innovation is a never-ending journey–what does that mean for us as marketers? How do you foster ambition and accountability in marketing and across your organization? GE dreams in scale. Big is beautiful. Industrial revolution meets digital revolution. Hardware with software. Part of the journey is to deliver very powerful outcomes. Marketing is playing an increasingly powerful role—at GE, marketing is empowered to see where the world is going and translates it into practical action. Beth says as marketers, we need to “fly well in fog”. We are innovators and integrators. We have to move to where the market is going to be. Marketing needs to be a vital operating function that has as growth agenda. We need mindshare–seize a market that hasn’t even formed. Marketers are the incubators of new businesses. Marketers have an intuitive sense of the ecosystem. The problems we are trying to solve today as organizations are just too big for one institution to solve. Now we are seeing some interesting mash-up of skills. Partner with others in your ecosystem to really expand your expertise as a company. Next up, we have DJ Waldow’s session. 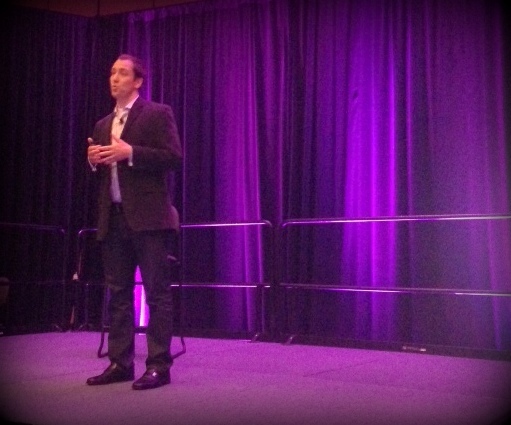 He is Marketo’s Digital Marketing Evangelist and can always be counted on for a humorous and very lively performance. DJ opens with a compelling stat–there are 182.9 billion emails that were sent and received last year. Unfortunately, many of them are canned. Robot emails. Dry copy with a “do-not-reply” from addresses. These emails are not human. They don’t contain personalization, creativity, or conversation. DJ points to a quote by Bryan Kramar that states “I don’t care what language you speak, who your brand is, or what message you’re sending. We all need to speak more human” But how do we speak more human? And where should we be doing it? Email subject lines and copy—this is a big one and the place where marketers can really amp up their creativity. He points to publications like Upworthy and discusses how they use engaging titles to compel their subscribers to open emails. He also discusses email copy, which should be humorous, conversational, and creative. Remember that you are having a conversation with actual humans on the other end. Videos—take time to be personal in your videos. He shows an example of an email he received where the CEO of a company addresses him personally. They have a conversation via video, which creates a connection between brand and consumer. Of course, personalized videos may not be scalable, but can be a great option to try for your key prospects and customers. Out-of-office replies—we have all received the standard out-of-office reply. So and so is going away for X number of days and will respond to emails upon her return. But you are missing out on potentially engaging your connections. He shows an example of an out-of-office video he made that spoke to his connections directly, helping to create more of a human connection. Email opt-out landing pages—an email marketers worst nightmare is an opt-out. So why not compel your customers to stay? He shows an example of retailer Bonobos’ opt-down landing page. Instead of giving your subscribers one option of all or none, why not offer personalized preferences? Maybe they want to receive emails once a month instead of once a week. Give them the option. Does HUMAN work for every company, every brand? DJ’s answer? He thinks it does. That being said, TEST IT, see if I works for your audience. Then report back! And think about what YOU are doing to be more human in your marketing communications. Next up, a super interesting session on SEO from MOZ’s Content Astronaut, Cyrus Shepard. He opens by stating that SEO is cool again. For the past few years it has been viewed as spammy, but Google is forcing changes with SEO—reinvigorating it even. A lot of people see Google as a tornado—a funnel cloud in the distance that is scary, making it difficult for marketers to compete. But Cyrus sees these changes as an opportunity. Google wants to move beyond providing information, towards answering your question as a user and providing a better experience. Google’s mission is “to organize the world’s information and make it universally accessible and useful”. And Google is doing just that with its algorithm changes and moves towards authentic content and unique user experiences. So, according to Cyrus, there is an incredible opportunity with Google and SEO going forward as long as we change the way we think about SEO to be more like Google. From keywords to concepts— keyword stuffing has always been seen as spammy. Keywords themselves don’t rank. Today it’s about the meaning behind the keywords. We have to actually be contextually relevant to queries. Schema, markup, and meta data–Google actively promotes sites that use certain types of structure data like authorship and reviews. There is a slight increase in CTRs because of these peer recommendations. Additionally, social annotations and data cause searchers to pay more attention to search results. From webpages to authority—there has always been a traditional big brand bias. When people search, Google knows they want to find pages from brands like Apple. Today, Google is moving towards people bias. Google is identifying and rewarding authors and sites that are seen as experts. The more questions you can answer in your content the more likely you are to have an easier time ranking. From links to endorsements—in the past, links where associated with bad, spammy SEO. Newsflash—Google doesn’t care about links. They care about endorsements from a real person to a real person. From pageviews to satisfaction—in the old days you just wanted that visit. But today it’s about measuring user satisfaction. Google measure’s bounce rate, time on site, pages per visit, share rate, mention rate. Going forward it’s about satisfaction—are we providing a good experience? Websites that go above and beyond the keyword consistently will win with Google in the end. And that’s a wrap! Thank you so much to all of our attendees for making it the best Marketing Nation Summit to date! What were your favorite sessions? We would love to hear!